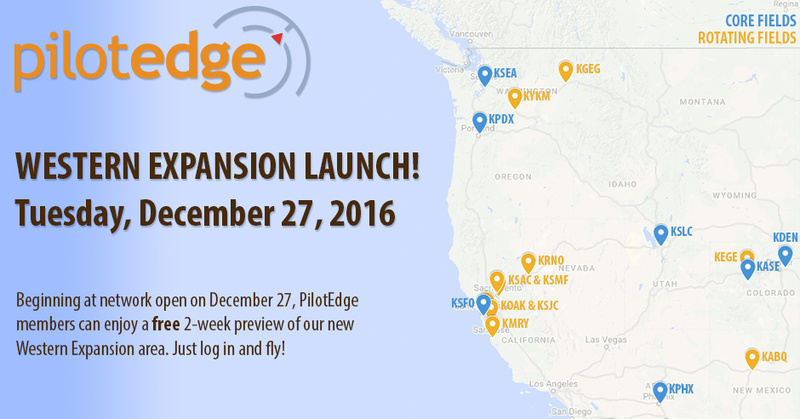 The long awaited Western Expansion is finally ready and will go live on December 27th. This will bring a massive increase to the coverage area, offering seven new towered fields (six continual, one on a rotating basis) to the service area and many hundreds of thousands of new square miles in which to fly. Just as important is that PE will offer enroute coverage through the entire limits of the five ARTCCs that make up the expansion area. This means you can depart one of the towered fields and fly with advisories to any non-towered field throughout the entire western third of the US. FANTASTIC. Learn more about it here, and I’ll see you in the KSLC Bravo soon.